CenCom Sapphire delivers what you’ve been asking for in a sleek, new, tougher, more advanced design. Indicator LEDs have been added to each output creating a simple, way to troubleshoot shorted or broken connections in your vehicle’s wiring. 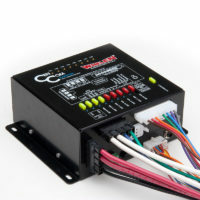 Fuses and connections are easily accessible without having to use any tools or remove any covers. All high current outputs are fused for your convenience. Configuration programming is easier than ever with newly redesigned CenCom Sapphire software. 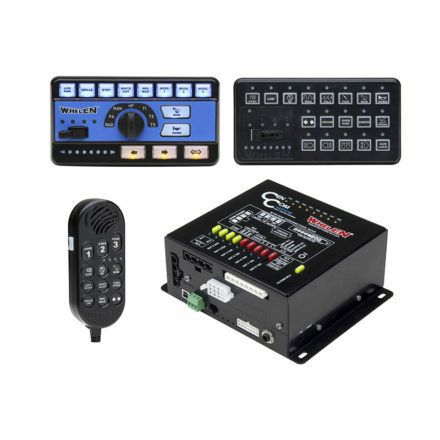 CenCom Sapphire retains the highly regarded simplicity of our previous CenCom software, with new features and added flexibility; including the ability to configure your Whelen WeCan® lightbar! 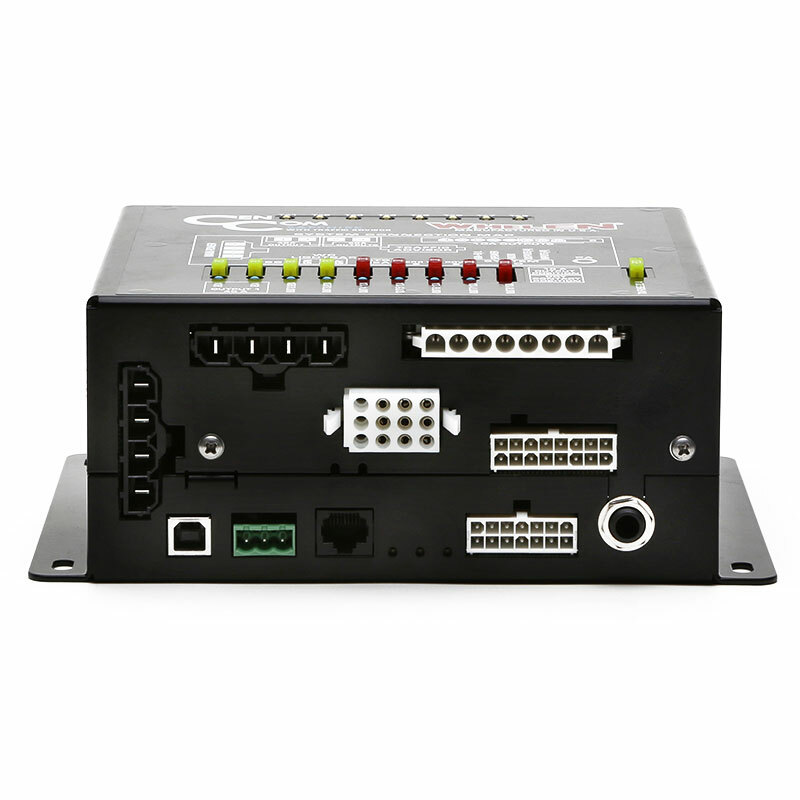 Many models to choose from for compatibility with Traffic Advisors. 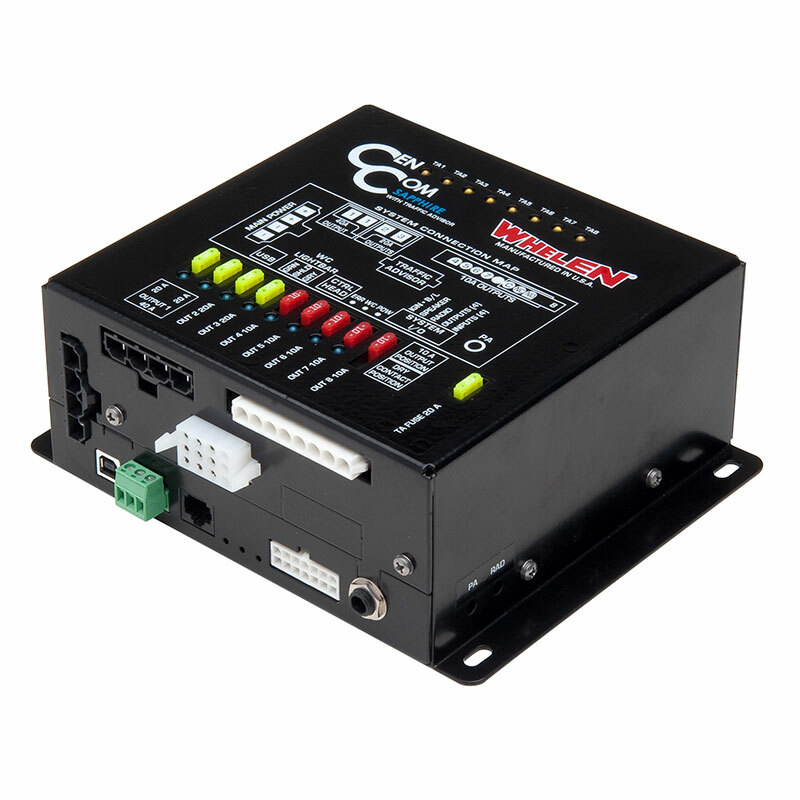 CCSRN: operates Whelen 2-wire Traffic Advisors that do not require external controls. CCSRNT: operates Traffic Advisors that do require external controls. 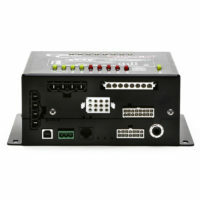 Four positive or ground activated inputs, including a horn ring input. NEW models include input expansion module for additional 8 positive or negative inputs (12 total). 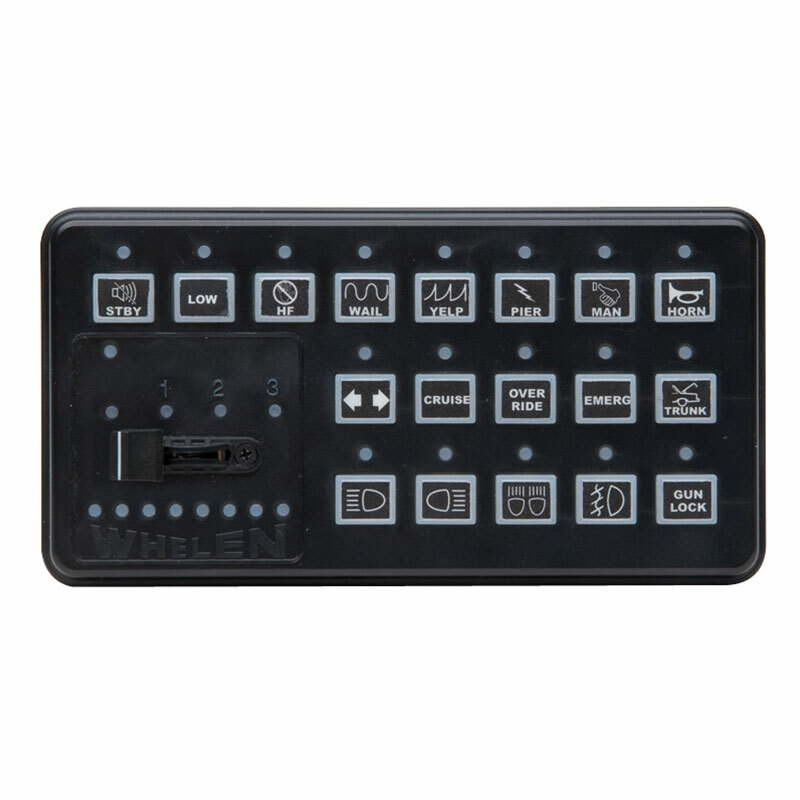 Each button is individually customizable for numerous button types (Press on/Press off, momentary, etc.). 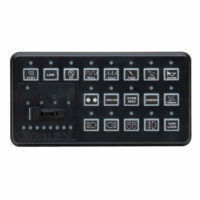 Brightly backlit push-buttons include standard function labels to choose from. PA microphone with plug-in connector and 20’ microphone cable are included (except with hand held models).